When it comes to motor vehicle accidents, those involving large trucks can often have the worst outcomes. Whether it's a commercial truck, delivery truck, or even a construction truck, these vehicles are significantly larger and heavier than a standard car and can cause devastating damage to your car and serious personal injury to you and your passengers. At the Hickey Law Firm, P.A., attorney John H. (Jack) Hickey understands how serious accidents with large trucks can be and the far-reaching consequences that may result. 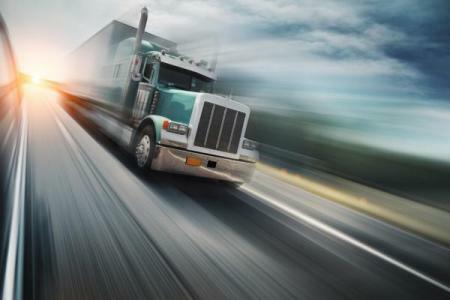 Accidents with trucks can be complex because of the many entities that may be held liable. As an experienced trial lawyer, Mr. Hickey knows how to protect your rights and the importance of holding the responsible parties liable so that you can get the just compensation you deserve for your pain and suffering. If you've been in an accident with a large truck and need quality representation in the Miami area, please call our office today at 305-371-8000 for a free case evaluation. We proudly represent those who live in and near Miami, Florida. In our busy world, daily commuting has become almost a necessity. Whether it's to drive to work, run errands, or take or pick up children for their activities, more and more time is spent on the roads. Unfortunately, all that commuting can lead to higher chances of an accident occurring. According to the National Highway Traffic and Safety Administration (NHTSA), in 2016 there were over 4,300 fatalities involving large trucks and in 2015, 116,000 people were injured because of accidents involving large trucks in the U.S. These stats are alarming when you think of the damage and injuries that can result from a crash with a large truck. Any of the above instances can be caused by the negligence of someone, making them liable for your injuries. Because of the amount of time truck drivers spend on the roads, and the need to make their deliveries on time, negligence on behalf of the truck driver can result in an accident. However, negligence from the trucking maintenance crew or those who load the cargo can also cause a truck accident. These are just a few examples of the many different types of causes of truck accidents. Having an experienced truck accident lawyer on your side can help you navigate the complexities of this type of case and make sure that the person or party responsible is held liable. Injuries from accidents with large trucks can often be quite severe because of the significant amount of damage they can cause. At the Hickey Law Firm, P.A., we make it our mission to pursue the maximum of amount of compensation to help you with medical bills and to help you and your family return to your normal life. The catastrophic injuries can dramatically impact the quality of your life and we believe that you should have all the help you require in your time of need. If you've suffered injury due to an accident with a truck, our Miami injury attorneys will work every stage of your case to make sure you're taken care of. As a former lawyer for insurance companies, Mr. Hickey has unique experience and insight as to the strategies insurance companies often use to avoid paying victims the maximum compensation they deserve. He and his team will help you seek the full amount of compensation you deserve. Mr. Hickey is also an experienced board-certified trial lawyer and is prepared to take your case to trial if a settlement is not reached. Just as in a car accident, there are certain steps you can take immediately after a truck accident to help protect yourself and aid in your claim. What you do in the time after an accident may be critical in proving your injuries were the result of the accident and showing fault was on the other driver. In our decades of practice, our Miami accident lawyers understand that following a few simple steps after an accident can have dramatic effects on the outcome of your claim and better the odds in the event your claim goes to trial. Get medical help: This is important to make sure that you and your passengers are not in any immediate danger relating to your injuries. Let a paramedic examine you at the scene if possible and seek medical attention at a hospital or your primary care physician right away. Obtain information: Exchange personal and insurance information with the other party in the accident and refrain from admitting any wrongdoing. Personal information should include their driver's license number, license plate number, and contact information. You should do this for any witnesses that happened to be at the scene as well. Photograph the scene: Take as many pictures as you can of the vehicles involved, any damage that occurred, you and your passengers' injuries if any, the road conditions, and the scene of the accident. Take notes: After you've sought medical care, take the time to write a brief account of what happened. This should include everything you remember leading up to, during, and after the accident. Obtain documentation: Request copies of any official reports created after the accident. This includes police reports and medical records. Contact a personal injury lawyer: Finally, you should speak with our Miami truck accident lawyers as soon as possible about your next steps. In truck accident cases, liability can be harder to determine than other personal injury cases. Because of the many parties that may be involved, it's important to have an experienced truck accident attorney on your side to investigate and get to the bottom of whose negligence is at fault. As you can see, there are many different parties who may be responsible for the truck's malfunction and subsequent accident. This is just another reason why having quality representation for your truck accident claim is beneficial to you. We'll work hard to determine just exactly who is liable and hold them responsible. At the Hickey Law Firm, we take every step of your case seriously and diligently pursue the facts to make sure that we can help you to the fullest during this stressful time. Our attorneys understand the system and how to navigate the various legal hurdles that may come into play. When you come to us for your truck accident claim, you can be sure that we'll do everything we can to prove fault and get the compensation you deserve. As we mentioned, accidents involving large trucks can have serious effects on you and your entire family. Since serious injuries may result, you may require expensive medical care and rehabilitation to get your life back. When an accident is caused by the negligence of another person or entity, we'll fight for justice for you and the compensation you and your family need for peace of mind. At the Hickey Law Firm, our Miami truck accident attorneys are committed to protecting your rights and bringing justice to the party at fault. Led by attorney Jack Hickey, we'll make sure that your case gets the due care it deserves. If you've been in an accident with a truck, please call our office at 305-371-8000 for a free case evaluation. We proudly represent those who live in Miami and nearby areas of Florida.